Atlast Diwali is here and I'm sure all of you must be in full swing preparing diwali sweets and snacks, last minute shopping and other things. 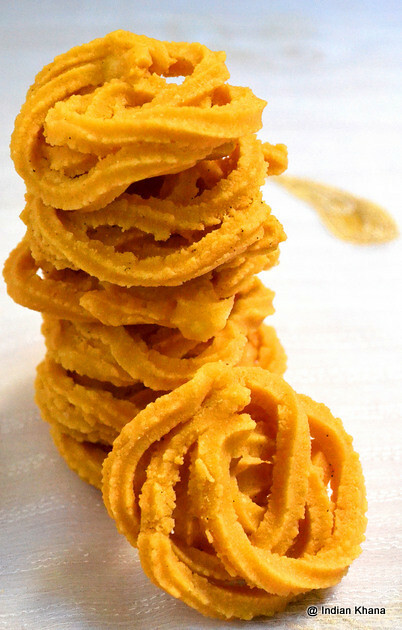 I haven’t posted murukku in my savory list of goodies for diwali so here it is mullu murukku, a easy and tasty snack for any time. 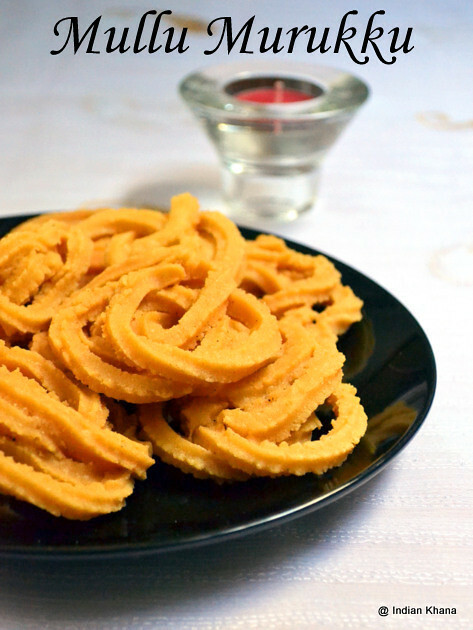 I am yet to venture into different kinds of murukku or chaliki, in our house Mathi, namak parey is more popular compare to murukku. 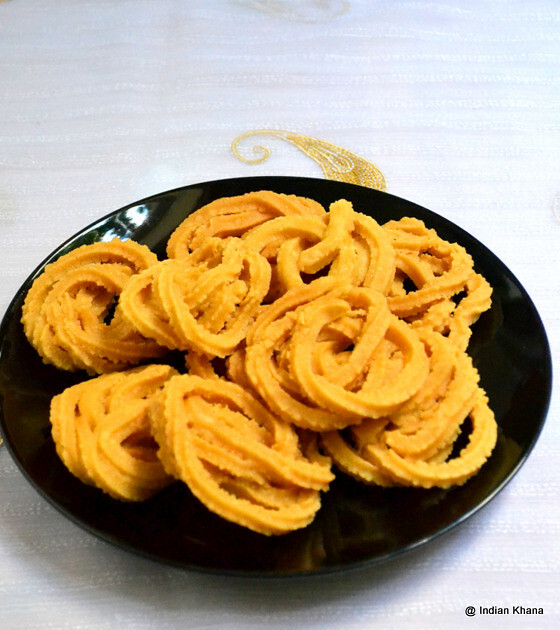 Mully murukku is really easy to make and if you are beginner like me in murukku/chaliki making then you can start with this easy recipe. Try this it’s still not late to make yummy snacks for Diwali. 1. To make roasted gram flour, grind roasted gram to find powder, sieve and measure. 1 Cup roasted gram yields little more than one cup of flour. Use one cup of flour. 2. 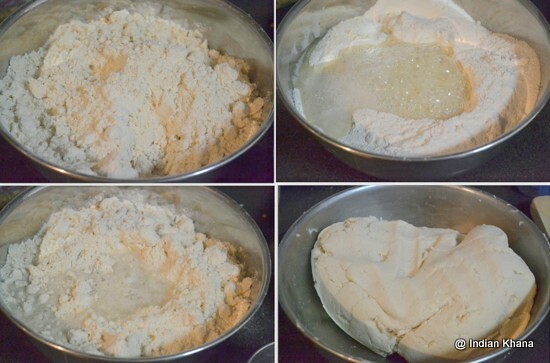 In a wide bowl add roasted gram flour, rice flour, salt and butter (or you can use 2 ladle hot oil) mix everything well, now start adding water in small quantity and make a smooth dough. 3. Meanwhile heat oil in wok/kadai. 4. Take murukku/sev press and use star disc, fill the murukku maker and press to make in circular murukku directly over oil, or do it on back of the ladle or in a wet cloth/greased plastic sheet. 5. 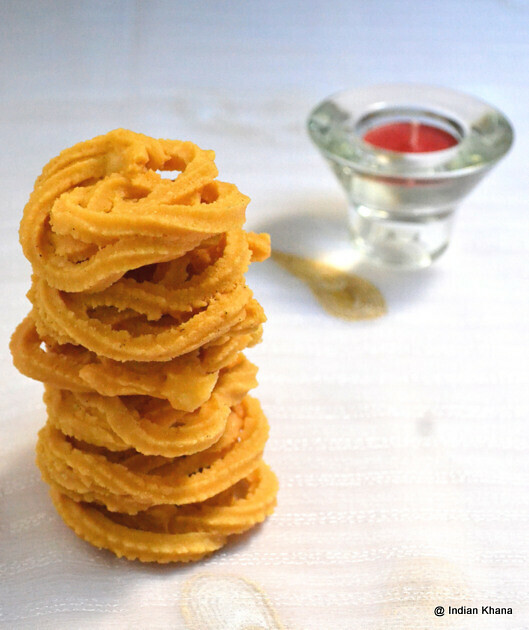 Carefully slide murukku in oil and deep fry in medium to high flame until light golden brown or bubbles ceases. 6. Drain in colander lined with kitchen tissue, repeat same for rest of dough. Once murukku/chakli comes to room temperature store in air tight containers. ~ I used home made rice flour. ~ If murukku is hard to bite, add more butter or oil.